Every German butcher offers Fleischsalat (meat salad) for the same reason that supermarkets in Maine offer lobster bisque – to use their leftovers. Fleischsalat is made with ham or bologna, pickled gherkins (I don’t like the very salty kind) and mayonnaise. In Germany Fleischsalat is such a common cold cut that you won’t find any recipes for it. 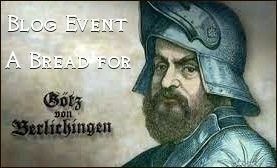 I know what is in there, so I came up with my own version. You can use any kind of ham, cooked, smoked, roasted (or bologna) for it. 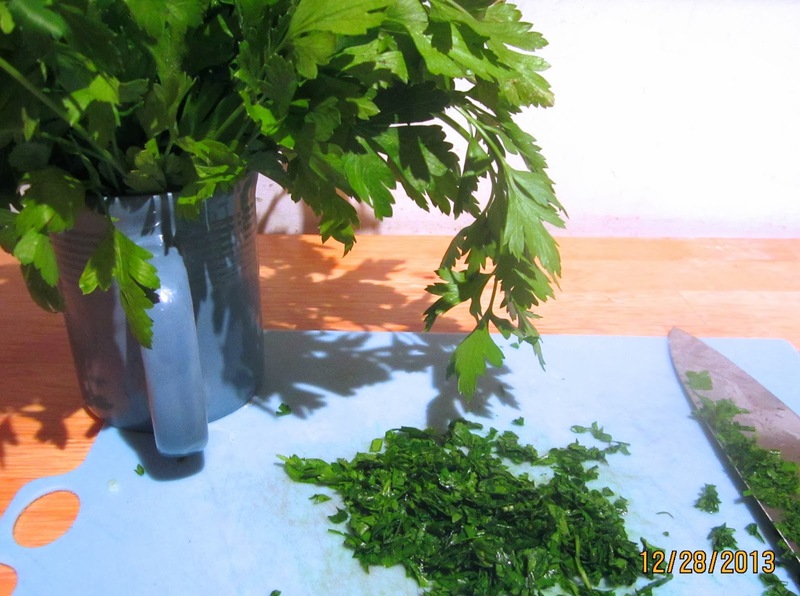 The mayonnaise should be of good quality, and you can add chopped herbs like parsley, chives, or dill, if you wish. For a little bit of zing I like adding horseradish sauce. Seasoning with salt is not necessary, the ham is salty enough. 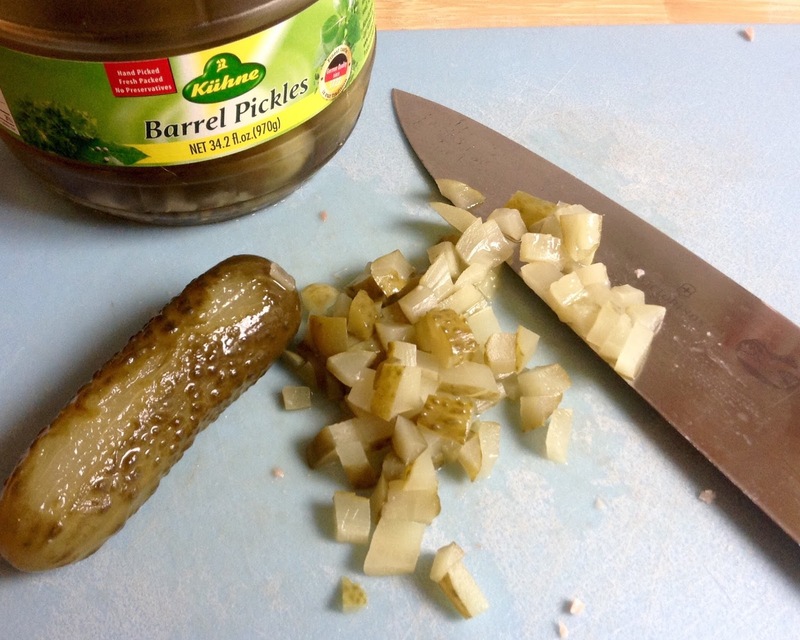 Cut ham and pickles into small cubes. 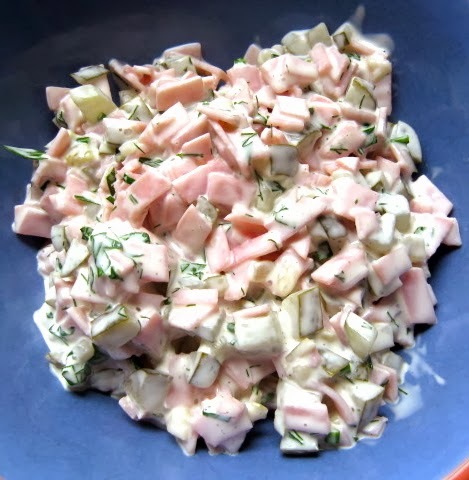 In a bowl, mix together cubed ham, pickles, mayonnaise, horseradish sauce and chopped herbs. Season with pepper to taste (adding extra salt is not necessary). Serve on Feinbrot, Aroma Bread, Bauernbrötchen (or any other good bread). 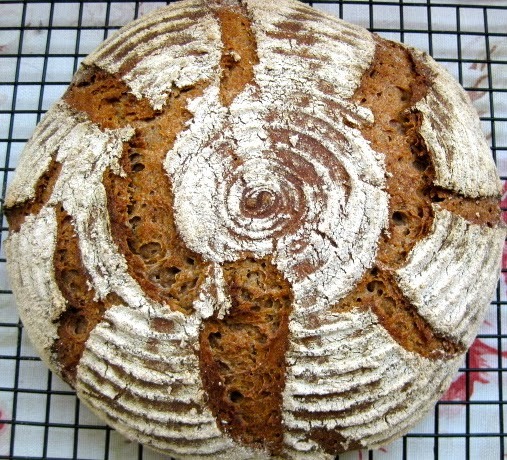 Karin, It doesn't get better than this, especially as a topper on your wonderful German breads. Thanks, Anna. By the way, if you put onions in there, do you fry them or use them raw?